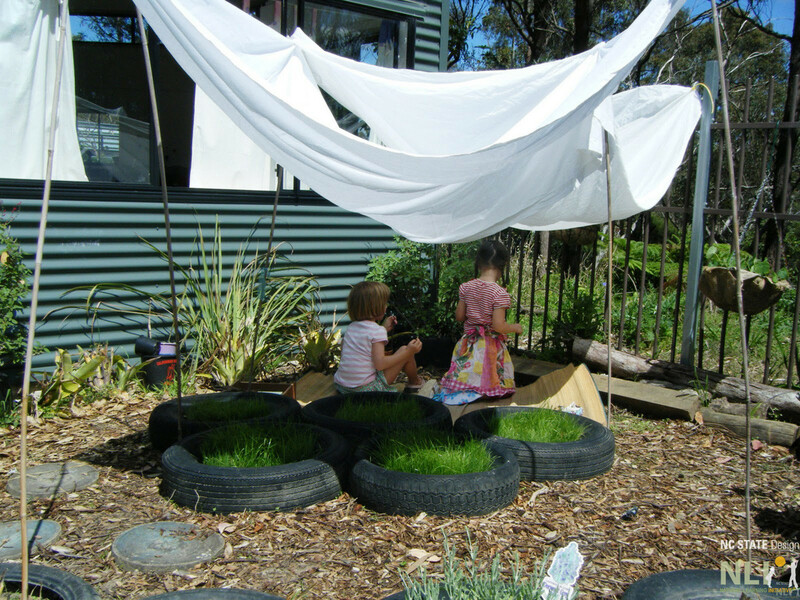 What options are there for providing shade on our outdoor learning environment? Adequate protection from the sun is essential for the health and comfort of young children outdoors. In the northern hemisphere, the sun casts shadows in a northerly direction. Therefore, shade providing elements should be installed on the southern side of spaces that need additional shade. Vegetation. Intersperse medium-sized trees or large shrubs in and around existing settings. Cluster them around a deck to create a shady gathering place. Select trees and shrubs that not only provide shade, but also bear fruit or beautiful flowers and/or become a setting, i.e. a fig circle or a blueberry house. Install 2 ½-inch caliper trees to produce sufficient shade more quickly. Growing vines on a southern boundary fence will provide some shade. Structures. 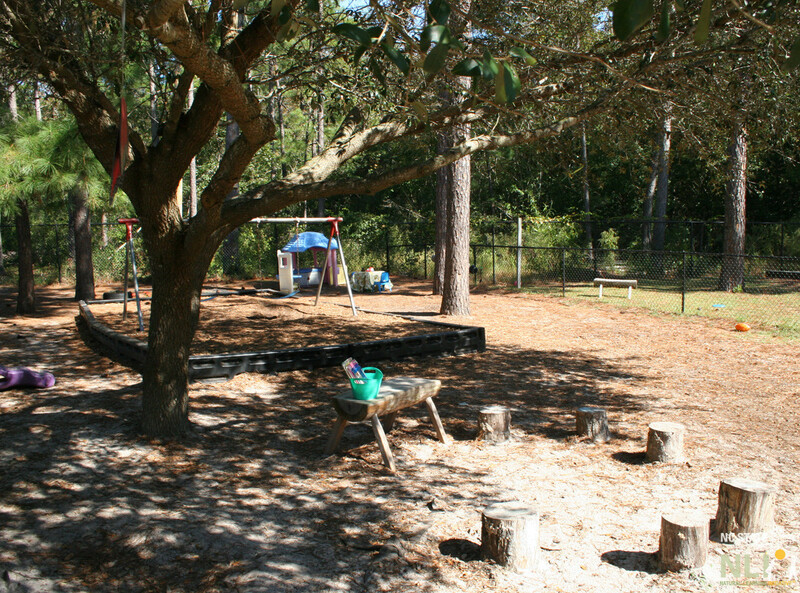 Arbors, pergolas, tunnels, and trellises scattered throughout the outdoor learning environment create patches of shade and comfortable, three-dimensional spaces scaled to young children. Structures can be custom built or purchased as kits. Incorporate materials into custom structures that are readily available at the local hardware store, such as light metal grids, lattice, and netting, to create armatures that support vine growth. Shade sails, parachutes, tarps, and bed sheets supported by a fence or tent poles. Vine teepee with fabric and/or annual vine. 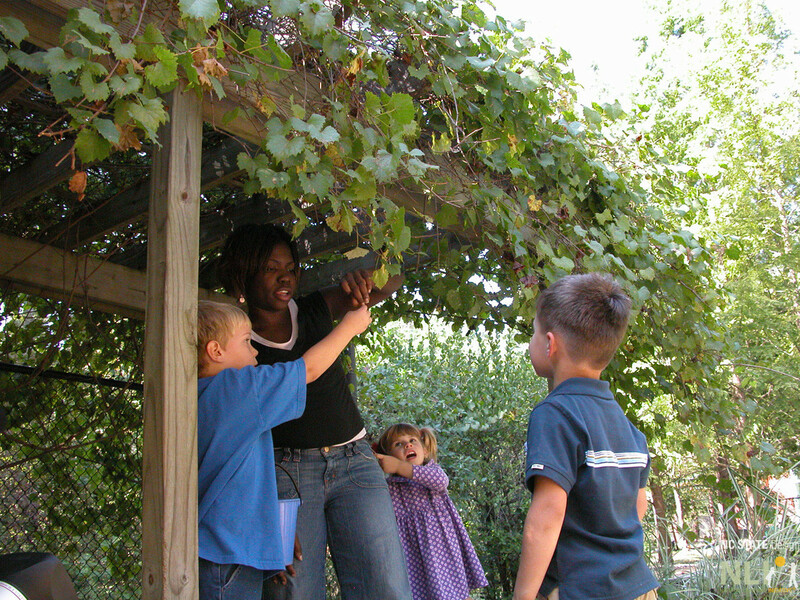 Grape vines cover an arbor providing shade and edible fruit. A large live oak tree casts shade over a log gathering area. 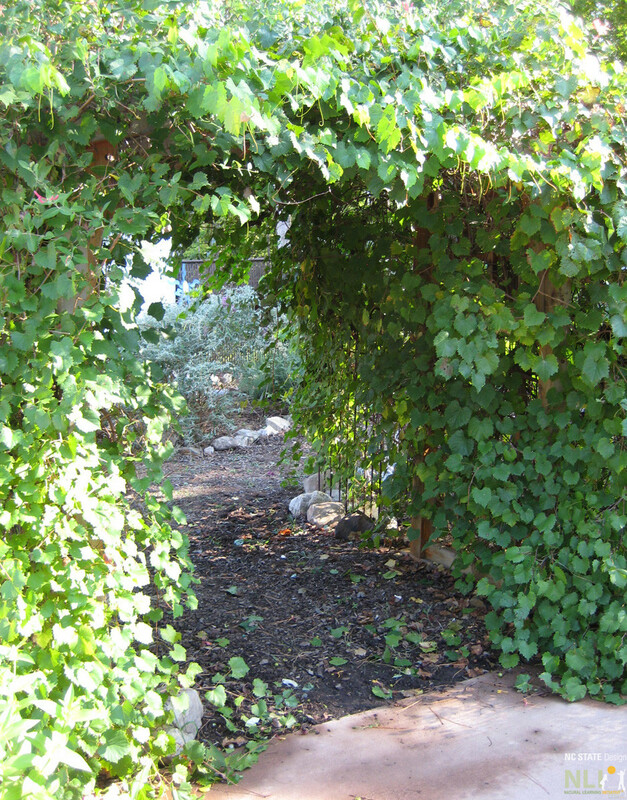 Grape vines cover an inexpensive wire armature creating an intimate, shady place. Temporary shade is provided by a bed sheets on tent poles.